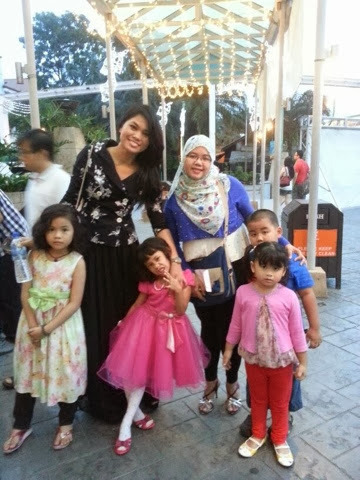 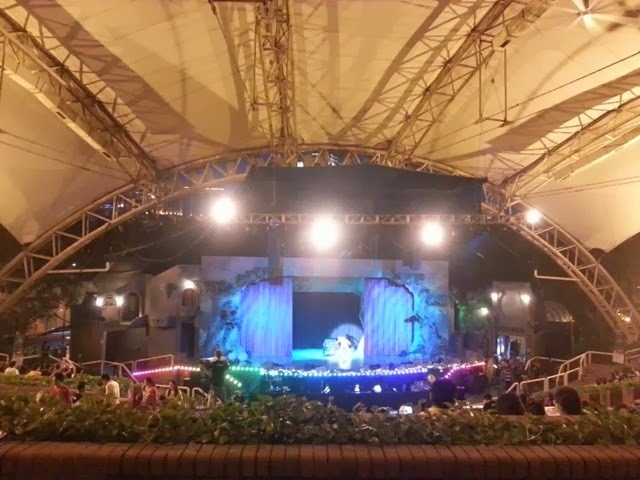 I celebrate my 2014, 1st January dengan bawa my kiddos to Snow White & the 7 Dwarfs Musical.The show held at Sunway Lagoon Amphiteater. 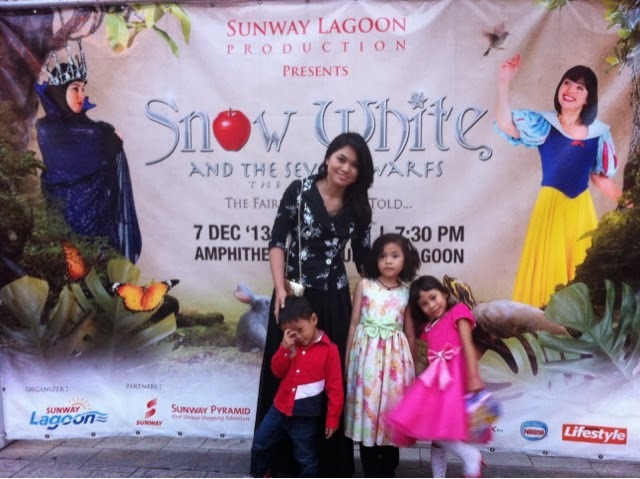 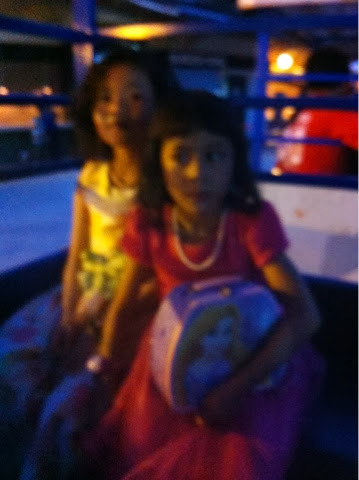 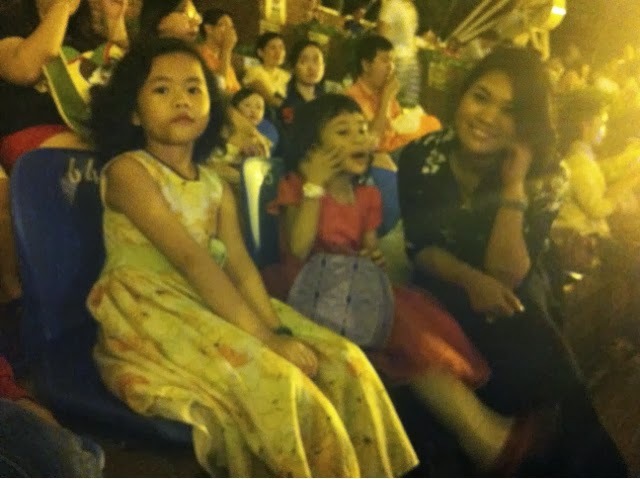 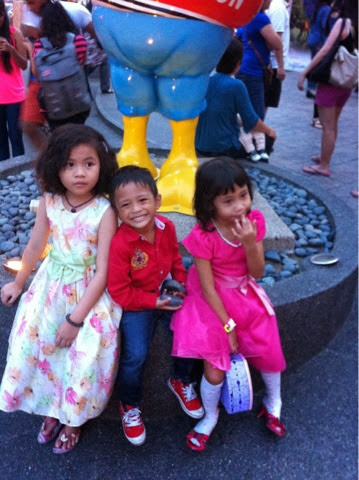 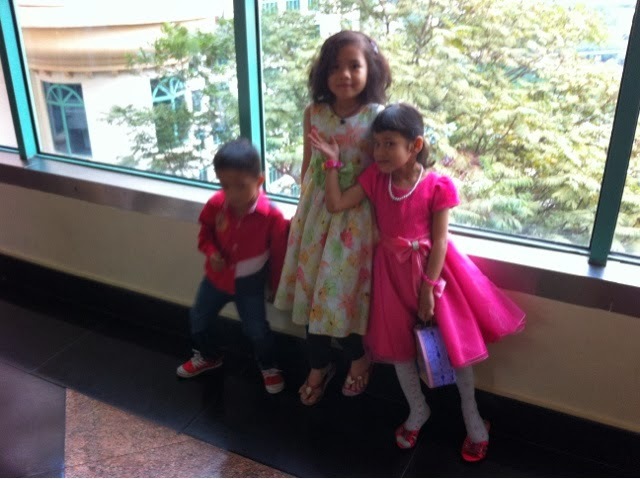 I am so happy bila my kids sangat excited & happy when i told them i will bring them to Snow White show. 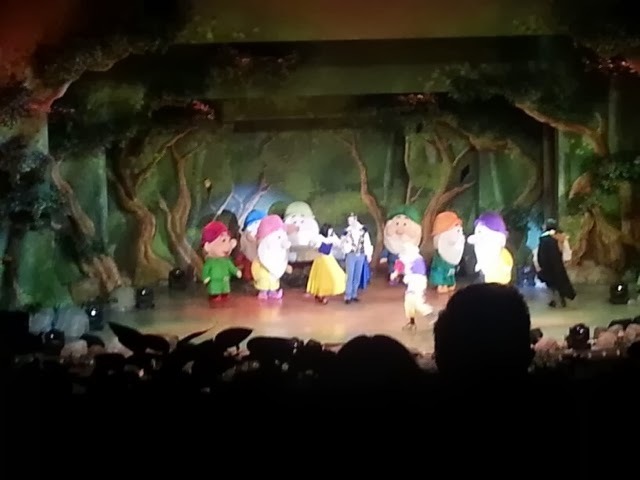 I also so amazed to see how behave they are during the show.Maybe teruja tengok the real people acting as Snow White & not the cartoon. 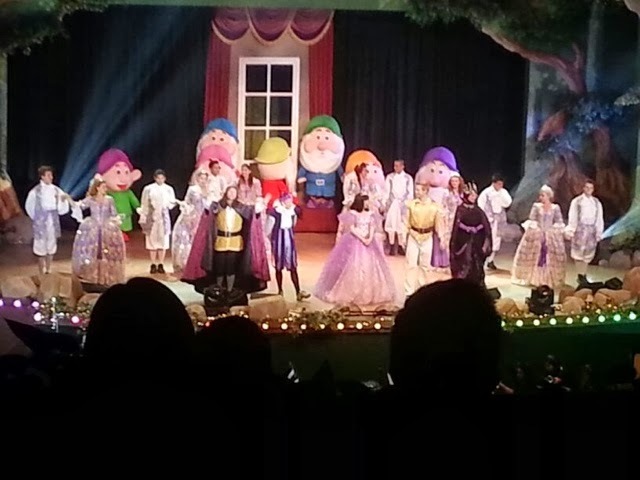 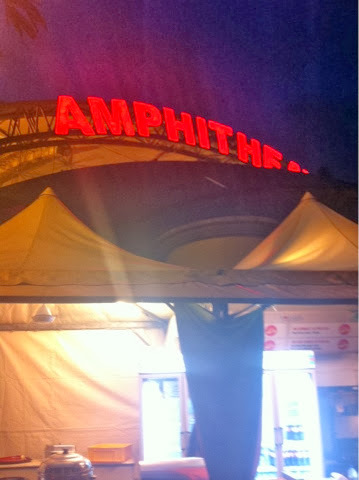 Actually tak boleh amik gambar during the show, this picture ehsan from my friend. 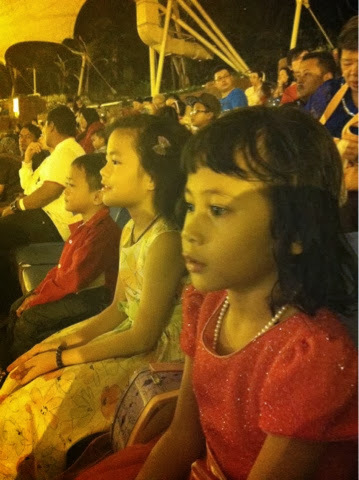 They were all enjoyed the show!! 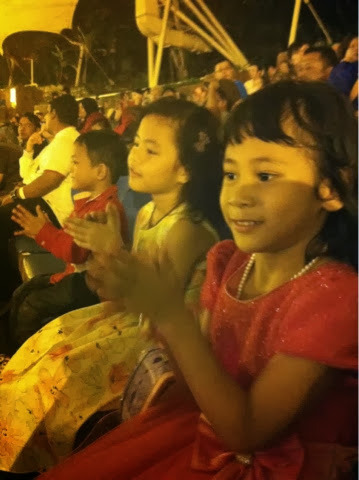 2nd January 2014, start la persekolahan my kids.As new students in Brainy Bunch Islamic Montessori diaorang start class awal berbanding student lama iaitu on 6th January. 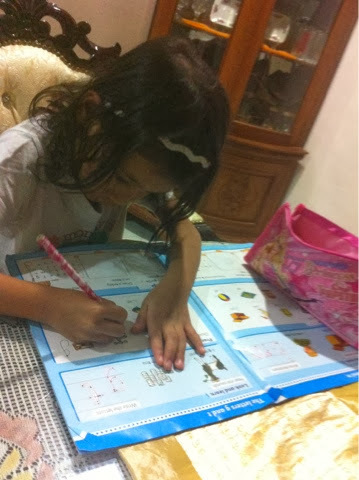 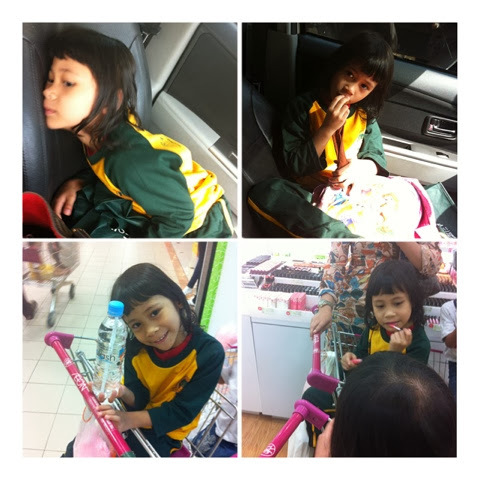 So, biasalah permulaan sekolah.Pagi2 adalah sikit drama swasta air mata.But after dah mandi & dress up, all jadi excited nak ke sekolah. 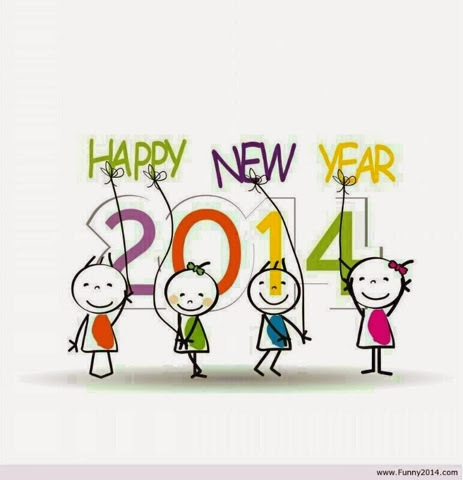 Alhamdulillah it was really a good Start for 2014.I am looking forward for more great Stuffs. 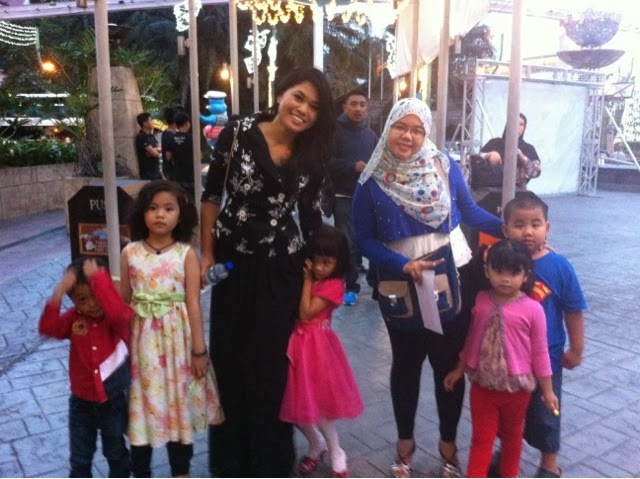 In Sha Allah, my aim for this year to be a fulltime mumprenuer with 5 figure Income will be a reality!